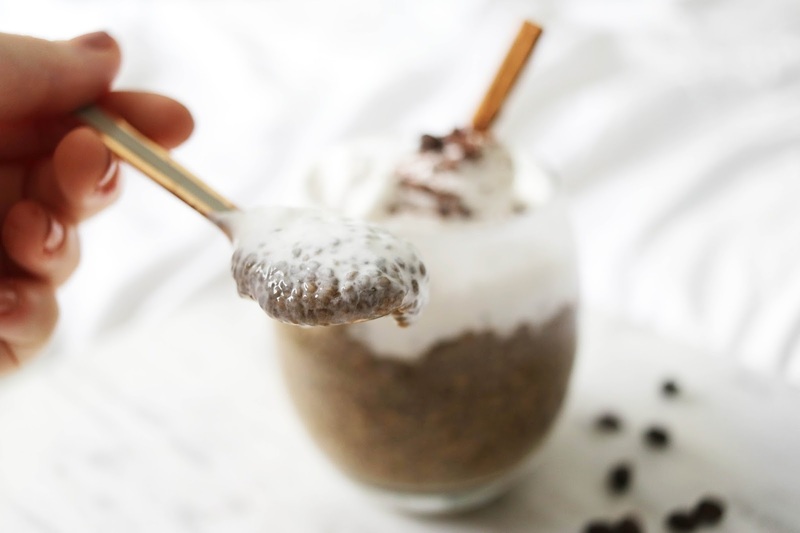 These quick, simple and easy chia puddings are the perfect mornings 'pick me up'. These little chia puddings are naturally sweetened and contain the superfood that is chia seeds. 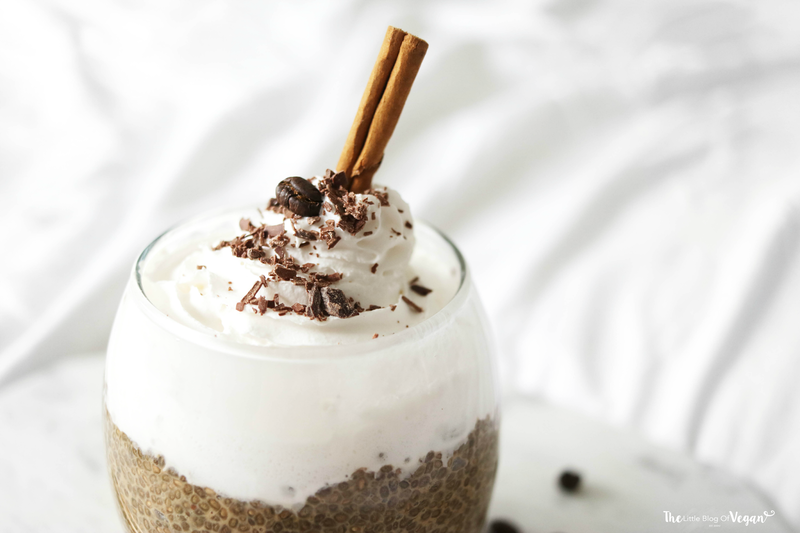 Read up the benefits of chia here. 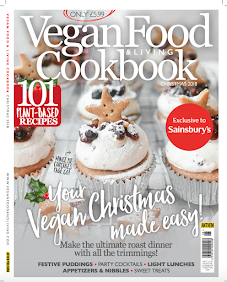 I topped off my delightful little coffee puddings with a swirl of Schlagfix Schlagcreme which I acquired from the The Vegan Kind online shop. 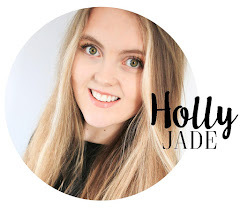 This online shop is fantastic and has a variety of some amazing vegan products from chilled goods, sweets & chocolates, beauty products etc. 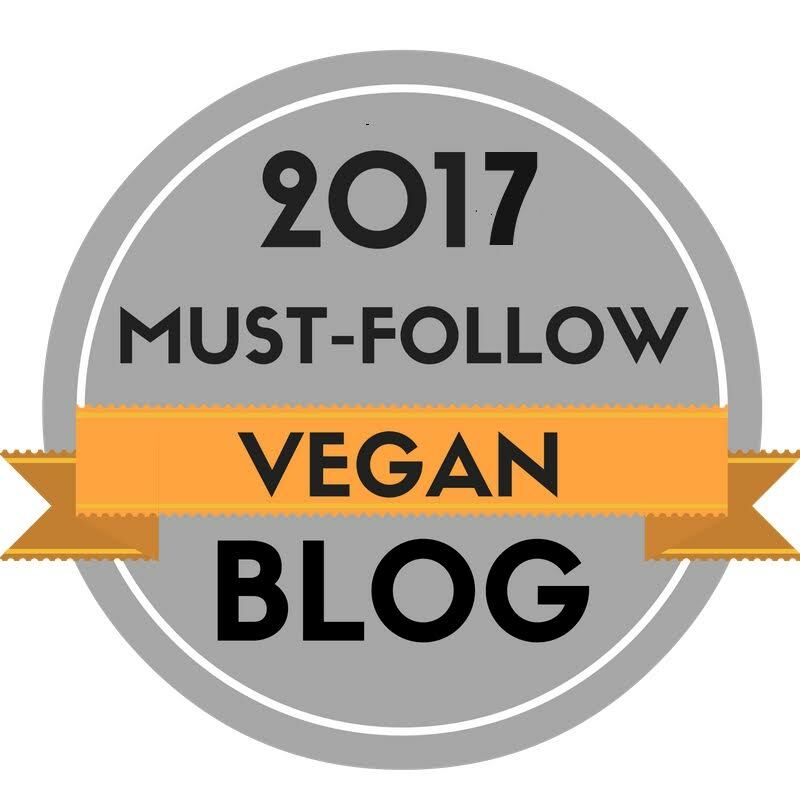 All 100% vegan & cruelty-free of-course. This cream is one of the best dairy-free creams I have tried. It doesn't taste artificial, it is silky smooth, thick and holds it's shape. It's perfect to add on to desserts, coffees and scones. YUM!!! These puddings are delicious and if you like coffee as much as i do, you will LOVE IT! Step 1- In a mixing bowl, add in all of the ingredients and stir until fully combined. Double up ingredients for more puddings. 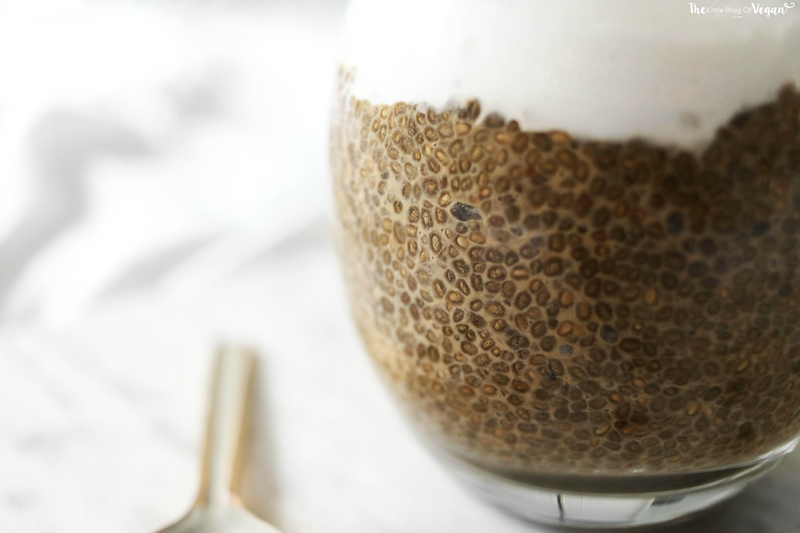 Step 2- Fill up your glasses or bowls with chia pudding and pop them into the fridge to chill. Overnight works best, or up to 4 hours. 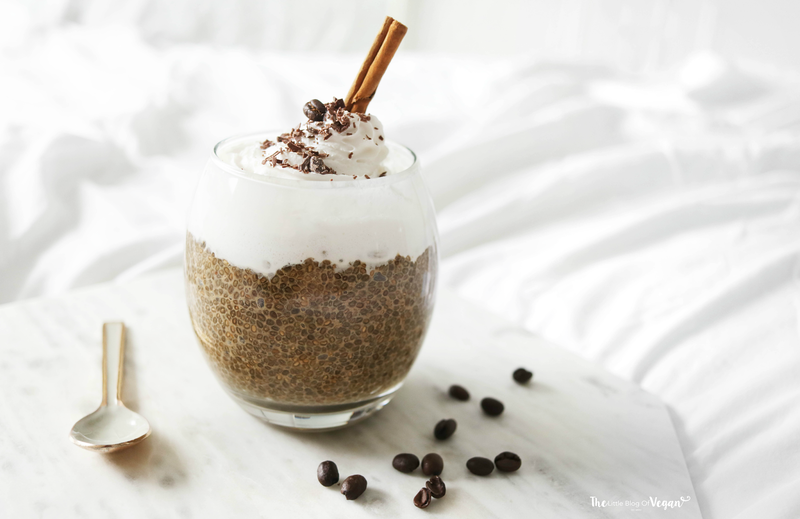 I served up my coffee chia puddings in cute little glasses with a swirl of dairy-free cream, grated chocolate, a cinnamon stick for decoration and coffee beans. How adorable and appetizing do they look? You don't have to serve with cream, but it looks (and tastes divine ) and is an extra little treat! I would love to see your take on my recipes.